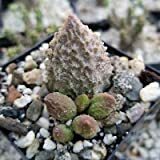 Adromischus marianae for sale – Easy plant to grow, grown for the ornamental flowers and for the shape of the plant, planting in spring to autumn, better to buy plant or another option to start from seeds yet more challenging. Blooming in the spring to summer in star shaped flowers that appear in pink or red color. Adromischus marianae for sale – What need to know before buying Adromischus marianae? 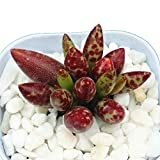 When is the best season to buy Adromischus marianae? Adromischus marianae for sale – need to know before buying Adromischus marianae that it’s succulent subshrub easy to grow can grow indoor or outdoor need full shade to half shade, well-drained soil, small amount of water, let it dry between watering, can started to grow from leaf, seeds, stem or plant, if planted indoor can be planted all year, outdoor better in the spring to summer.